This March, FLIK’s Functional Food focus is on herbs and spices. Herbs and spices add concentrated flavor with practically zero added calories, fat, sugar, or salt. They are functional because they provide benefits beyond basic nutrition. Turmeric, in particular, has long been recognized for its antioxidant and anti-inflammatory properties. Research has shown that it aids in inflammatory conditions, metabolic syndrome, arthritis, anxiety, and hyperlipidemia. It has also been shown to help decrease exercise-induced inflammation and muscle soreness. 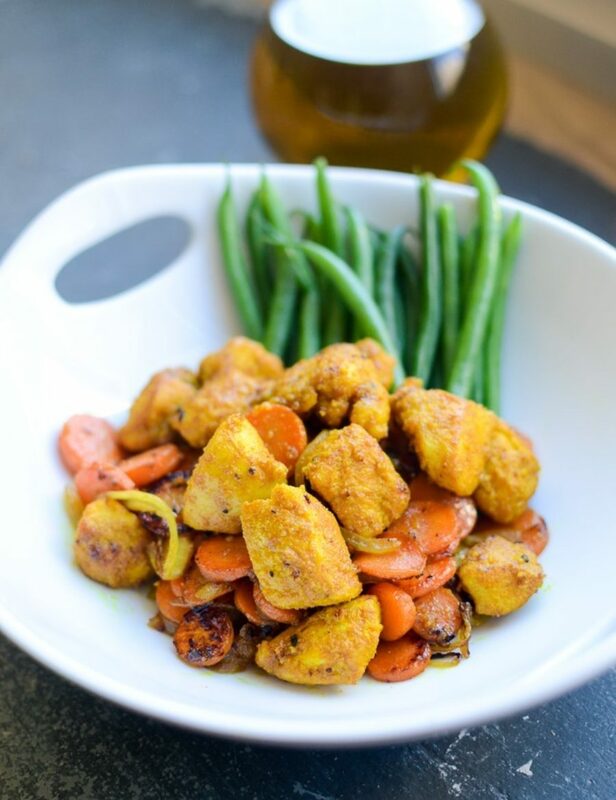 So go ahead and fill up your plate with our recipe for Malaysian Stir Fried Turmeric Chicken. Not only will you benefit from turmeric’s functional properties, you’ll be getting a decent dose of lean protein and lots of veggies too. 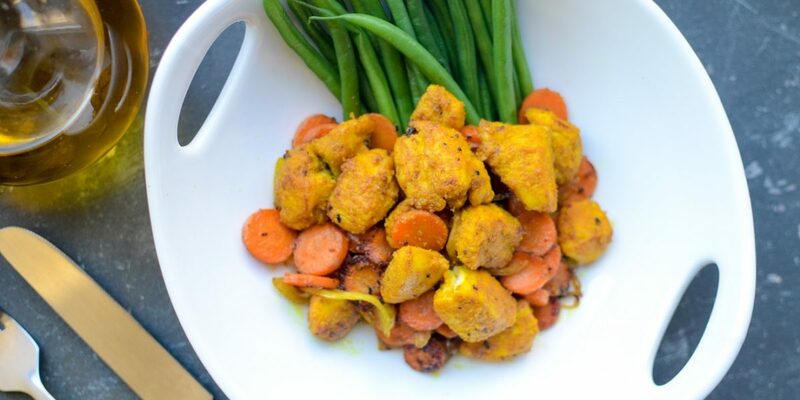 Fill up your plate with our recipe for Malaysian Stir Fried Turmeric Chicken. Not only will you benefit from turmeric’s functional properties, you’ll be getting a decent dose of lean protein and lots of veggies too. 1. Blanch green beans: Bring a large pot of water to a boil. Add green beans and boil 2-3 minutes until bright green and al dente. Transfer green beans to an ice water bath to immediately stop cooking. Remove to a paper towel lined plate to drain. 2. In a large bowl, mix together turmeric, corn flour, 1 teaspoon salt, and pepper. Add chicken and toss until evenly coated. Shake off and discard excess corn flour mixture. 3. Heat oil in a wok or large pan over high heat. Stir fry chicken in batches until golden brown then transfer to a paper towel lined plate. 4. After all chicken has been stir fried, add onions and carrots to pan. Stir fry until softened. Add ginger and garlic and cook until fragrant. 5. Add chicken back to pan with with fish sauce, oyster sauce, and remaining salt. Stir fry until chicken is cooked through. Toss in green beans and cook until heated through and ready to serve.